When James Naismith invented the game of Basketball in 1891, I'm sure he did not imagine that players would start dunking from the free-throw line or making shots from almost 50 feet away from the basket. When he invented the game, Naismith had laid down only 13 rules of Basketball. Today, the NBA has a 66 page Rule Book. The beauty of basketball is that it is constantly evolving. And the players that played the game have a lot to do with it. NBA players back in the and 70's and 80's would've never ever imagined that the game would change so much over the next 30-40 years. Some players in the NBA are amongst the highest paid athletes in the world today. They sign shoe deals worth more than 10 million dollars. NBA players are now fashion icons and trendsetters. Here are some of the most influential players who changed the League and had a huge impact not just on the court, but off the court as well. 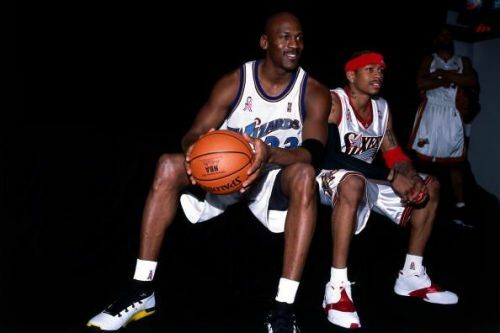 Allen Iverson was is the shortest player in NBA history to win the MVP award. He is the only player to average 20 points per game while standing at 6'0" or shorter. 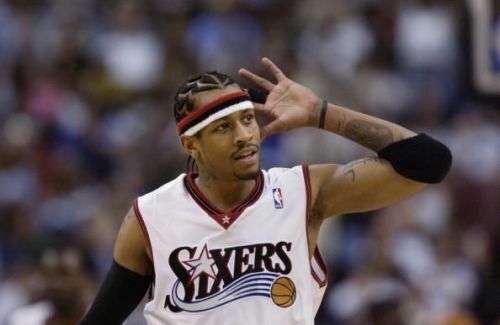 Iverson inspired a generation of smaller players to be aggressive scorers. Iverson popularized the crossover move and got himself immortalized with what everyone today refers to as "The Allen Iverson Crossover". He infamously crossed over Micheal Jordan in his rookie season and that made him an instant sensation. Younger players were inspired by his on and off court style. He changed the culture of the NBA. Iverson merged sports and entertainment and took it to another level ushering in the Hip-Hop culture. He brought style to the game of basketball with the cornrows and the jewellery and tattoos and the arm-sleeves. He made it all acceptable. His influence was such that in 2005 made the NBA the first league to have a dress code. Players were told to wear "business casual attire" before and after the game. Iverson retired in 2011 as an 11-time All-Star, 4 Time Scoring Champion, 2 Time All-Star Game MVP and 2001 NBA MVP.